Langley Vacuum & Sewing Centre is your go-to source for sewing machine and vacuum repair in the Langley and Surrey area. We service most makes and models of vacuums with maintenance and more. Does your home have a built-in vacuum system? We can provide service calls for built-in and central vacuum systems for repairs, unplugging the system, and more. We offer service for most makes and models of vacuums. If you are unsure if we can provide service for your vacuum, please call ahead! Ready for a new vacuum? 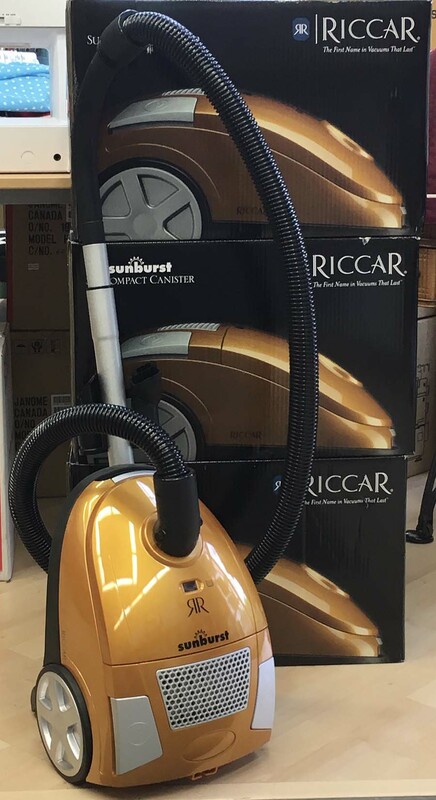 We sell a number of new and used vacuums! For your sewing machine, our in-store service extends to most makes and models of sewing machines and sergers. Our experienced team at Langley Vacuum & Sewing Centre will provide repairs and maintenance for your sewing machine. When you purchase one of our quality new or used sewing machines, we provide you with a free sewing machine lesson with your purchase so that you can get the most out of your product. We also provide sharpening for your sewing scissors. If you are unsure if we provide service for your sewing machine, please call ahead! Contact us today with any further inquiries or to book our services. Need Service for Your Central Vacuum? We can come to your home for built-in vacuum repairs and maintenance.